Australia has the unfortunate title of "Food Allergy Capital of the World". Hospital admissions for severe allergic reactions quadrupled in the last 20 years, while alarmingly the number of allergy-related deaths in Australia is increasing by 10 per cent each year. Food Allergy Week, May 14-20 is an initiative of Allergy & Anaphylaxis Australia to raise awareness of food allergies in Australia. 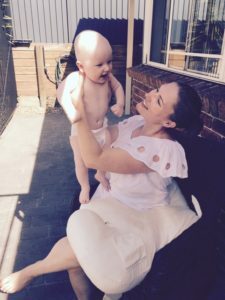 In our Food Allergy Mum Interview Series, we hope to promote understanding and insight in to the challenges of parenting a child with life threatening food allergies, along with the need for change to build an allergy aware allergy safe commUNITY! What are your child’s allergies? When did you find out? My son is allergic to dairy,egg,soy,wheat and gluten, my daughter is allergic to wheat and gluten. My son I found out when he was about 8 weeks old, I was suspicious from about 6 weeks old as he was showing symptoms when I would eat specific foods and the foods would pass through my breast milk, with lots of research, speaking to various medical professionals and the keeping of a food diary plus elimination diet I was able to determine his allergies down to dairy, egg, soy, wheat and gluten. Once I removed these in their entirety from my diet he no longer had any food allergy symptoms. My daughter we found out when she was about 18 months when she was accidentally given wheat/gluten by someone else, we had suspected this already as she hasn't been exposed to wheat/gluten because I am also allergic to it but she has shown a few times with accidentally ingestions that she is also allergic. What would be one of the most difficult aspects of daily living with food allergies? Or one of the biggest challenge raising a child with food allergies? The exclusion and lack of ease of attending social events. Even if allergy Mumma's are tired and had a rough day it's almost impossible for them to just do a quick drive through dinner or anything of the like, everything needs to be prepared from scratch all the time. Meals need to be planned in advance, groceries need buying well in advance and often, as you can't always get what you need at the drop of a hat. How important is the support of friends, family, and community? Extremely important. There are a lot of barriers to receiving diagnosis as some Doctors just don't have enough experience and information on the matter and it can be extremely hard for the parents who are trying to get to the bottom of it so people need to support the parents and trust that they know what is absolutely best for their own child and do whatever they can to support them. What would you like other people to know about caring for a child with food allergies? How can families who don’t live with food allergies be extra safe around your food allergic child? Learn about what the allergies are and go to extra lengths to include them where possible not withstanding their food exclusions. 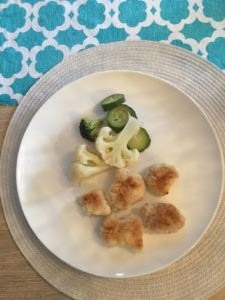 It's actually pretty straight forward to make some allergy friendly snacks, it is just initially daunting but there is a lot of information and wonderful recipes online. The allergic friend/family member will appreciate it so much and will always remember the special effort you made. Do you have a favourite, safe for your family, recipe or meal idea to share? Michelle Bromfield is a mother of two beautiful children; Bethenny (aged 3) and Brooklyn (aged 1) who both have food allergies; Bethenny to wheat & gluten and Brooklyn to wheat, gluten, dairy, egg and soy. Michelle is also allergic to wheat & gluten. Michelle juggles, food allergy blogging, fulltime law study and caring for her two young children. Michelle runs a food allergy & lifestyle blog www.iammeowms.comwith helpful information for families navigating life with food allergies.